Dr. Joseph Torma is the second of eleven children (eldest of eight boys) and grew up in very traditional ethnic Catholic family in the diocese of Youngstown. He entered the minor seminary of the Missionaries of the Sacred Heart at age 14 and stayed until after his third year of college. He graduated in 1966 with a degree in philosophy and immediately entered the new Master's program in Theology at the University of Detroit, graduating in 1967. He then taught theology at Creighton University until 1970, whereupon he began his doctoral program at the University of Ottawa in Ontario, Canada. Since he had undergraduate experience at a home for neglected and delinquent youth, graduate experience with inner-city youth, and had organized the Community Service Center at Creighton, he did his dissertation on "The American Catholic Reaction to the Concept 'Social Action' in Vatican II" (a topic so wide-ranging that in addition to a systematic theologian as thesis director, his jury consisted of a church historian, a canon lawyer, a sociologist of religion, and a religious anthropologist). After Ottawa, he worked for the diocese of Rochester, NY, organizing and training parish social action committees. 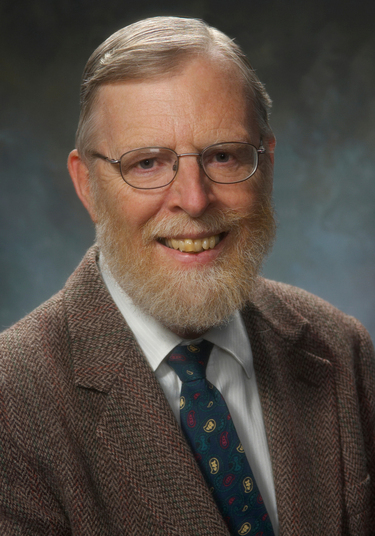 He went from there to St. Bernard's Seminary in Rochester as Field Education Director and Social Ministry Professor and chairman of the Pastoral Studies Division. There he helped to develop the Permanent Diaconate program there for the diocese and was involved with the Rochester Catholic Worker. He came to Walsh after the seminary closed in 1981. He is married with four adult boys and two grandchildren. His wife, who has a B.A. in Theology and an M.A. in Religious Education, just retired as an eighth-grade reading teacher. They met in music ministry at Creighton University and continue with that to this day. Torma teaches a wide range of courses in Theology at Walsh:, The Church in the Modern World, Christian Moral Life, Christian Spirituality, Social Ministry and many special-topics courses (some relating to our Philosophy-Theology Symposium) such as Theology of the Cooperative Society, Unity within Diversity in the Church, Marxism and Catholicism on Human Work, The Theology of The Grapes of Wrath, Human Rights and Catholic Social Thought, Organizing for Justice, and a capstone course for senior theology majors. He has written books on organizing parish social action committees and an academic pastoral ministry program, the principles of justice and peace, family as domestic church, and the church. He has also written articles on a variety of topics, many focusing on justice and peace (such as the series for The Peace Voice and the Rochester Catholic Worker) and the social mission of the Church. Finally, he has reviewed various books and has written explanatory pieces for use in the parish. He has made a number of presentations at local and national conferences (Consistent Ethic of Life, Christian Life Communities, National Catholic Education) as well as at many parishes on topics of justice and ministry. He was a featured speaker at a diocesan Ministry Day. Most recently, he presented a paper at Walsh's conference on Reconsidering Vatican II and has been asked to address the National Organization of Catholic Social Action Directors. [forthcoming]—Competition: The Original Sin, and What the Church Can Do About It. Canton: Oliver House. 2003—"Walsh University" in J. A. Hodges et al. (eds). Cradles of Conscience: Ohio's Independent Colleges and Universities. Kent: Kent State University. 1992—First Church: A Practical Theology of Family as the Domestic Church. Youngstown: Diocese of Youngstown. 1990—The Principles of Justice and Peace: An Introduction to Catholic Social Thought. Canton: Walsh College. Torma has been active in peace and justice and campus ministry. He organized and then directed Walsh's Institute for Justice and Peace for 20 years, initiating the Blouin Peace Park along the way. He also directed Walsh's Pastoral Ministry program. He has served on a large number of Walsh committees, chairing some (including the Faculty Affairs Committee, the Scholarship Committee, the Administrative Council, and the Faculty Assembly). Outside Walsh, he has been a member of numerous committees including the Rochester Center for Theological Studies, the Justice and Peace Committees of the Ohio Council of Churches, and the Association of Catholic Colleges and Universities. He also served on two different Permanent Diaconate Committees, a Campaign for Human Development Allocation Committee, and a Family Perspective Implementation Committee. He served as the evaluator of the theology and pastoral ministry programs at Dominican University. He is now a peer reviewer for the Catholic Journal of Higher Education. In his own parish, he has served on a number of committees, including the parish council and the Liturgy Committee (chair). He is currently helping Bishop John Michael Botean of the Romanian Byzantine Church to organize a Catholic Worker House in Alliance, Ohio, where he lives. A recently published book by Walsh Professor of Theology Joseph Torma, Ph.D., has the potential to not only enlighten minds, but also change the way in which our society functions. In fact, its premise could literally change the world. The foundation of Dr. Torma’s new book Divine Design: The Cooperatist Alternative to Competition. 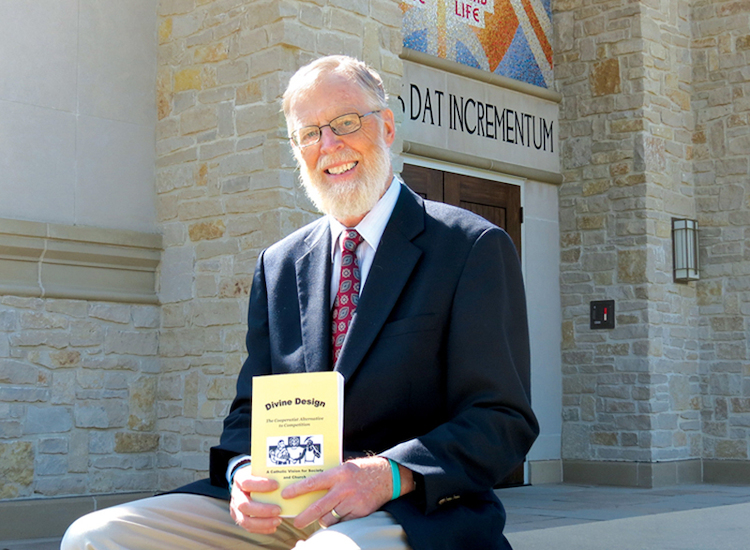 A Catholic Vision for Society and Church, was inspired more than 5o years ago by his experience working as a counselor in a school for delinquent boys. Oliver House Publishing, Inc., a Christian-based publishing house of Stark County writers and stories, sold out of its first run of the book, which explores two fundamentally different options for organizing society-- competition or cooperation. Dr. Torma believes that it is God’s will that society is organized in a cooperatist way. And this belief is not assigned to any one religion. Through his research, Dr. Torma supports this belief through several examples that emphasize how a community can not only survive, but thrive, in a cooperatist society. One example is the Mondragon Cooperative Corporation in the Basque region of Spain. Mondragon is one of the leading Spanish business groups, integrating more than 80 autonomous and independent cooperatives. Mondragon Cooperative Corporation is the embodiment of the cooperative movement and was founded in 1956 by a Catholic priest, Father José María Arizmendiarrieta. “Mondragon is a cooperation of businesses that don’t compete against each other because the workers own the businesses. This shows that you don’t have to maximize profits and therefore victimize the workers if the workers are also the owners. This system is based on Catholic cooperative teaching." The second example of a cooperatist society is the Jesuit Republic of Paraguay, about which only five books have been written in English. Dr. Torma cites this historical event as one that is almost totally unknown, but supports the coopertatist movement he proposes. The book finishes by describing how the Church can implement an apostolate of cooperation in all of the aspects of its mission: organizing itself as a community to demonstrate cooperation, explaining how society can convert to cooperation, initiating activities that help society do this and developing spiritual and educational programs that promote this mission. Though he enjoyed success with the first run of his book, Dr. Torma describes his new book as an important one, but doesn’t expect it to be popular. That’s because Divine Design is calling people to do something that is counter to the culture in which we live. For a copy of the book Divine Design: The Cooperatist Alternative to Competition. A Catholic Vision for Society and Church, visit the Walsh bookstore or contact Oliver House Publishing, Inc., at 330-458-9445. "The Catechism 'On Duty': Receiving the Gift of Creation." Catholic Peace Voice Fall 1996. "Doing the Rights Thing: the Gospel According to the Catechism." Catholic Peace Voice Summer 1996. "The Social Use of Property." Rochester Catholic Worker Spring 1996. "Beginning Through the Maze: The Catechism and Cooperatism." Catholic Peace Voice Winter 1995: 10. "The Tears of the Children: Why We Must Study the Principles of Peace." Catholic Peace Voice Fall 1995. First Church: a Practical Theology of the Family as Domestic Church. Youngstown, OH: Catholic Diocese of Youngstown, 1992. "The Pope and the Catholic Worker: a Christian Ethic of Human Work." Year OneMay 1990. Torma, Joseph, and M.R. McCarthy. "What the Catholic Worker Believes." RochesterCatholic Worker Ser. Feb. 1981-May/June 1982. "The Foundation and Development of Catholic Social Teaching." Education for Justice Conference. Rochester, NY: 1979. "Training for Leadership in Parish Social Mission." Annual Convention of the National Catholic Education Association. Atlantic City: 1975.